Join us on Thursday, December 13 for some holiday mingling, appetizers and drinks while we collect donations for the Ronald McDonald House charity. We’ll be at the Hill Bar & Grill at 4800 E. Douglas from 4-6 pm. The cost is free for members, $10 for non-members. Appetizers and 2 drink tickets per person. 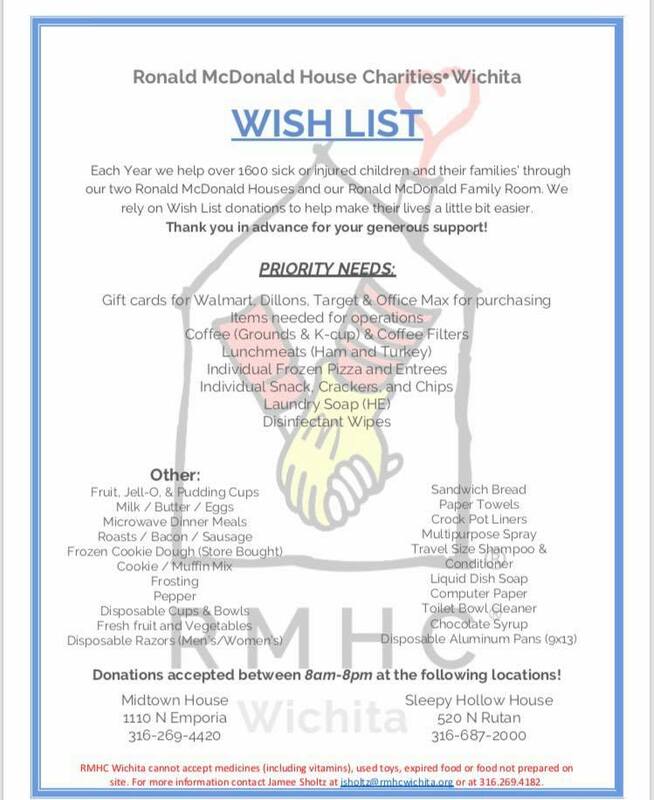 As part of our event, we will be collecting donations for Ronald McDonald House. Please bring donations for this worthy cause! Click here for a list of what’s needed! We’ll be raffling off an SMPS webinar (Value $299) and will be handing out new SMPS logo swag!